A couple of months ago, Facebook was reported to be working on a Flipboard-style news feed called the Reader and it looks the social network has already started working on it and is testing some features. According to several leaked screenshots shared by MyTechSkool blog, Facebook is working on a “Save for Later” feature that would allow users to save links into a list for later reading. The saved articles will be stored into a dedicated menu whereby users will be able to see all the saved posts at their own convenience. 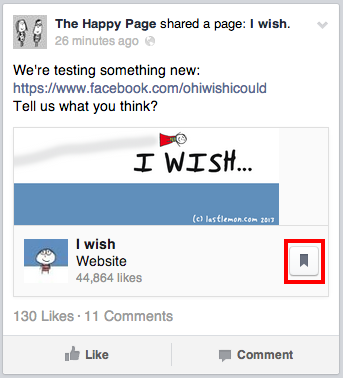 News would have to be shared onto Facebook first and according to the screenshots, users will then be able to click on a bookmark-like icon to save the original article into a reading list. 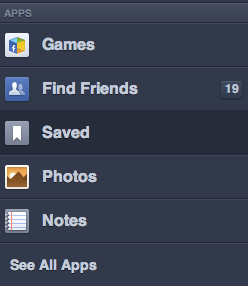 All saved posts are stored under a “Saved” app, which can be accessed in the menu located on the left side of Facebook’s interface. On top of storing the link, other information saved includes time, thumbnail, link title, website name, meta description and the privacy type would be store. But this is not the first of its kind, about a year ago, Facebook tested a similar feature for its iOS apps, which allows users to save articles for reading later simply by long pressing it. Considering how people love to share news on Facebook, especially breaking ones, this may be very useful indeed; I know at least one person who could find this useful because he won’t need to share a post twice anymore – once to “save for later” and another time if he finds it interesting. This feature could be particularly useful too if it allow users to save Facebook videos to view at a later time, especially when one has limited or slow, unreliable mobile data. Check out the source links for the rest of the screenshots.